Exhibitions and trade shows bring together key players from one industry. That is the reason, 100 million US residents attend 15,000 trade shows each year. Out of these 100 million visitors, 80 million are ready to buy from YOU. Statistics show every 4 out of 5 attendees have buying power and can be turned into lifelong customers. There are a few national exhibitions that don’t need to display advertisements. They have enough fan following to turn their shows into a huge success. However, marketers will agree that some form of marketing is required for more than 90% trade shows. That is what our company will achieve for you. Stop and Stare Mobile Media drives targeted messages that will attract visitors to your trade show. A trade show is not about booking your hotel tickets. It is about seeing results and the more visitors that attend your show or booth, the greater conversion rate you can expect to see. Having a captive audience is the first step to making a sale. You know it is time to revise your marketing strategy If your trade show is not bringing impressive results. It all starts with an attentive audience. If you are spending money on your show but forgot about proper marketing, then expect little or no return on your investment. 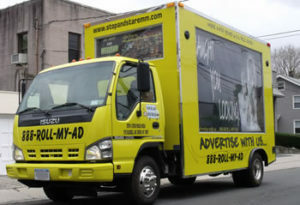 Mobile billboards are cost effective and can help you reach the target audience in less than a week. Mobile advertisement campaigns help you target specific neighborhoods. You can be extremely selective with timings and locations. It is pinpoint marketing and can be used to attract both attendees and exhibitors. It is often beneficial to run the campaign a few weeks before the show. You can track exhibitors and then advertise two weeks before the exhibition to gather your audience. 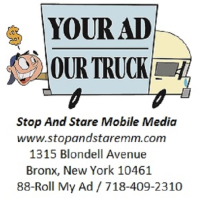 According to American Trucking Association, 98% drivers admitted seeing the mobile billboard ads. Mobile advertising gets 2.5X more attention than static boards. Wordy signs turn away visitors. Don’t mess with long words and sentences. Instead, deliver a powerful message with few simple words. The sense of humor can also aid you in the process. When you craft a creative ad, write funny or thought provoking concepts. It’s simple and factual and often prompts people to call us. It is the combination of the massive 20″x11″ moving sign in conjunction with a powerful message and a great call to action. Our drivers cut through the noise to share your message. 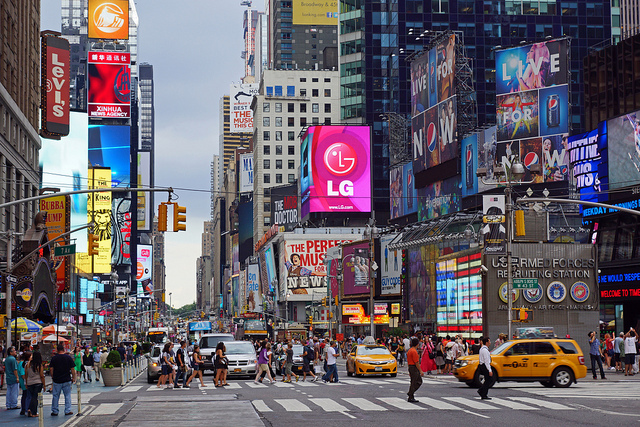 Your intended customers cannot ignore the massive billboards and visuals. The visuals are set at eye-level and campaigns are advertised to the locals at the time when they’re looking for your services. Imagine, your favorite attendees rushing toward your exhibition. The audience is excited to hear and buy from you. All with a mobile advertisement plan that only costs a fraction of your marketing budget. Most people travel to see new products. If you just developed a new technology or a new device, rest assured that people will find your show interesting and engaging. Our billboards will engage show attendees right from the arrival to their departure. Mobile billboards are also a great tool for follow-up communication.